A quick -n- easy up-cycled craft that kids can make. Click HERE to learn how! 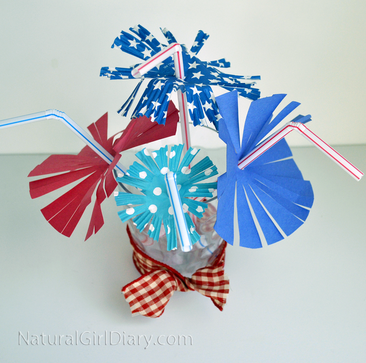 Keep kids well hydrated this summer & make sipping water more fun with "fireworks" straws.